As golfers, we often think designing new clubs is easy. Come up with a new technology or a new material, give it a new paint job and a new name and... bingo! However, when the preceding model was used to win more than 30 professional events in the past three years and heralded as one of the best irons in company history, coming up with a new version can be, well... challenging. That was precisely the challenge Ping faced as they set about designing and testing the new S55 irons to take over from the successful Ping S56 irons. When the new design had two-time Masters Champion, Bubba Watson switching irons for the first time in nine years, as well as the likes of Hunter Mahan and Miguel Angel Jimenez, I know it was certainly worthy of my attention. The first thing that grabbed my attention was the looks. It seems a lot of irons on the market these days attempt to grab your attention with bright or bold colours, materials and branding, but the S55s' simple looks give you the impression they've come straight from the factory floor and have been designed specifically for better players and golf purists. The modern, clean, soft-edged, steel look of the S55s sit very impressively in your bag and will definitely have your playing partners reaching for a waggle and a gander. 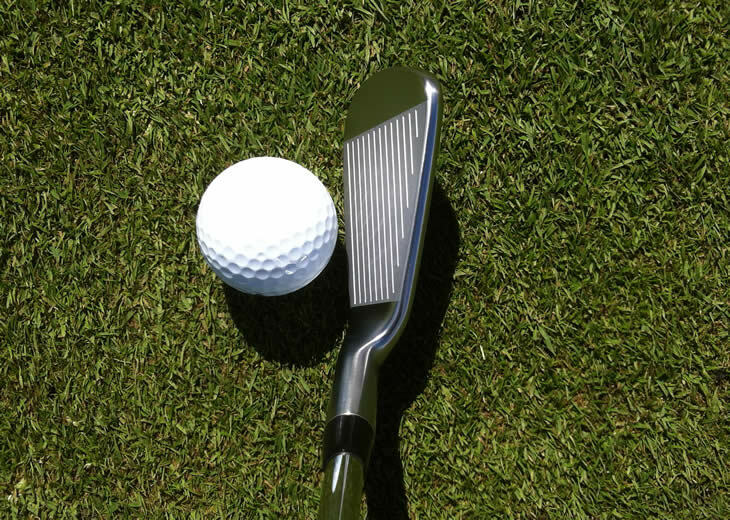 Put the club behind the ball and you are again reminded that these are irons for players looking to break par, i.e. they are very compact. I repeat, very compact. The look at address is again very clean and smooth, with Ping choosing to add less offset in the S55s than the i25, Anser or previous S56 irons. The lack of offset is more noticeable in the longer irons, but certainly gives the entire set a sharp, better-player look. Despite the new looks on the shelf, the S55s maintain a very distinct, love-them-or-hate-them Ping look. However, with minimal offset and an understated finish I am confident that most low handicap players would have nothing but admiration for the looks. 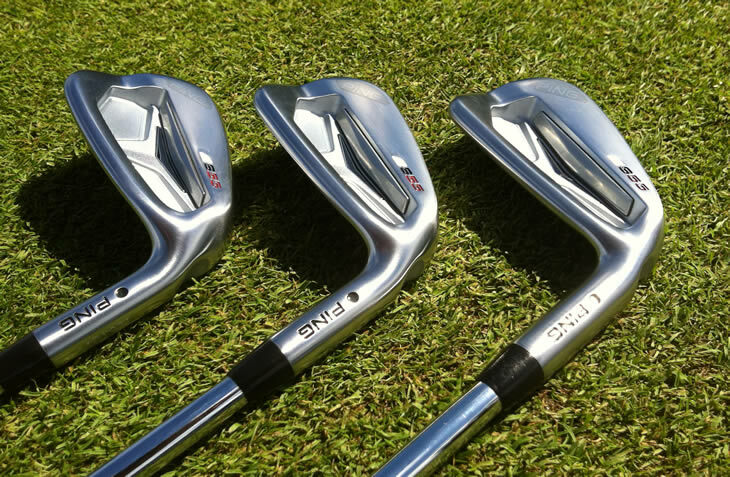 Personally, I found the shorter irons a little square at address, but that didn't take away from the performance. We all know golf clubs need more than shelf appeal and my dad always taught me not to judge a book by its cover, so what about the performance? One of the key improvements Ping wanted to make with the S55 was to give it a slightly softer feel. 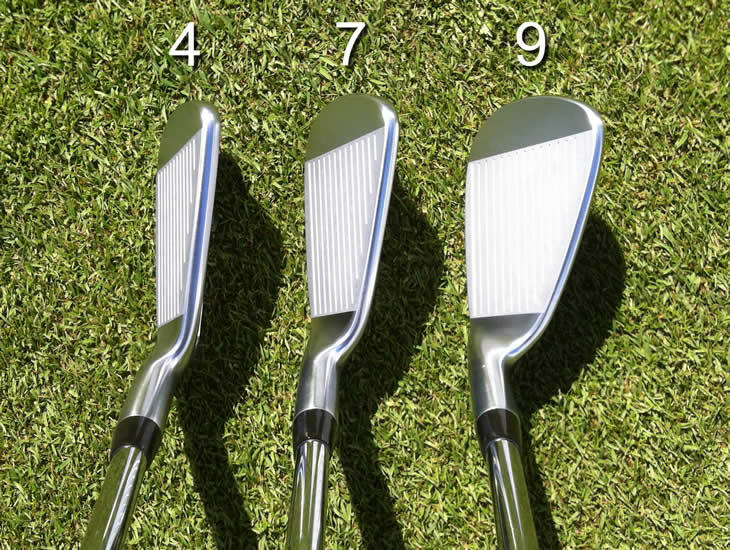 The construction, like almost all Ping irons is cast, which tends to make them slightly firmer off the face when compared to softer, forged irons. Having received feedback from Tour players, they set about making changes to the head to make it feel and sound softer. For me "softness" in an iron is a funny concept. I often find the feel and strength of impact on a game-improvement iron to be softer and more comfortable than that of a blade or better-player iron. Thus, the S55 felts strong to me, but not necessarily soft. They did offer more feedback in my hands than any previous Ping cast iron, and I think that is what Ping were looking for. So how exactly did they do it? Answer, a new CTP. The CTP or Custom Tuning Port, located in the back of the clubhead, is larger and made from a new thermoplastic elastomer. It can now handle vibrations better, caused when a player strikes the ball. Compared to the Ping i25 irons, the S55s felt slightly stronger and sharper into the ground, taking a divot more easily. The S55s may not be as buttery soft as those old-school blades we all wish we could hit, but they struck a good balance between forgiveness and feel, especially in the mid and short irons, which we all know isn't easy to do. With more mass being taken up by the CTP, Ping were able to take and move more of the weight in the clubhead to toe, heel and perimeter of the head and that means more forgiveness. To further enhance MOI, or forgiveness, Ping included a Tungsten weight in the toe, much like the one seen in the S56 model, masked by the Ping branding on the head. 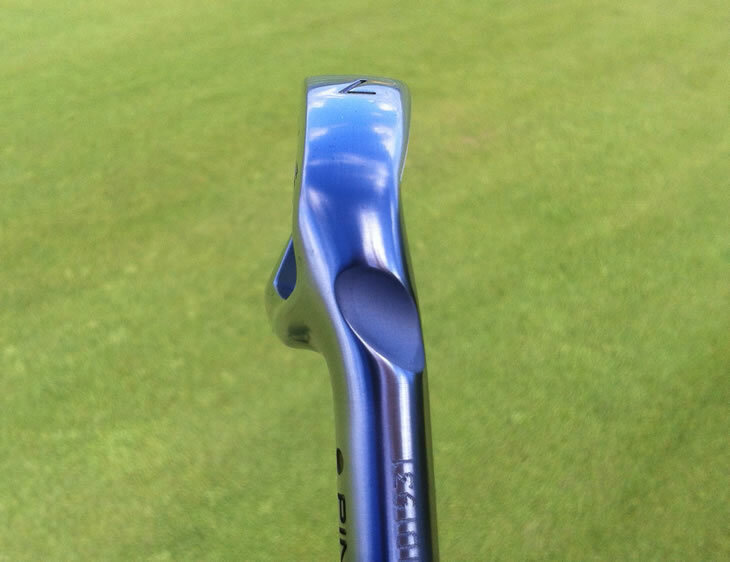 All that weight relocation and addition has moved the centre of gravity on the S55s a touch lower and deeper than before, although it is hard to believe considering the small, thin size of the clubhead. That new CG position is what offers the S55s a slightly higher ball flight, again a request from Ping's Tour staff. Whilst I didn't notice a massive increase in height, I did have to remind myself that these are very much better-player irons and for that reason the height the ball was flying was probably mid-to-high for that range, especially in the 6, 7 and 8 iron. Catch a long iron sweetly and you're guaranteed to get that same, powerful, high flight, however they are not the most generous long irons. Thin soles, compact heads and thin toplines certainly challenged my ball-striking prowess. Despite enjoying the shots I strike cleanly, I have to say the 3, 4 and 5 irons were a little too much club for my game/swing. Having made various changes to improve launch and forgiveness, Ping chose to alter the lofts in the S55 set to ensure effective distance gapping. Interestingly the S55 4-iron is now 0.25° weaker than the S56 model, whilst the 6-iron through PW have been strengthened by as much as 1.5°. 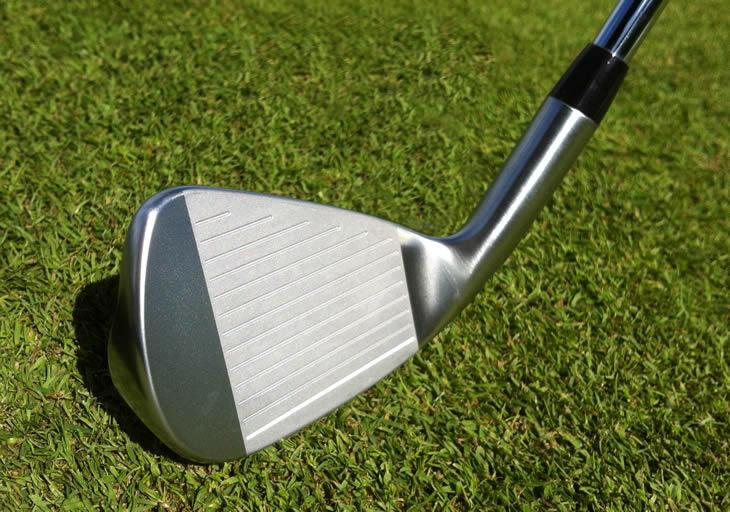 I've read reports that say that the S55's new design should improve distance by 3-5 yards per club. To be perfectly honest, I found it hard to gauge if I was gaining in-line with those numbers however I did them extremely consistent and fun to shape and flight up and down. The thin sole certainly played very close to Ping's sharp, thin Anser irons, and didn't provide the same help and forgiveness through the turf as the i25 or G25 irons. That again speaks to the player these irons are geared towards, i.e. competent ball strikers. Ultimately these haven't been designed to "guarantee x yards more per club", they have been designed to offer better players and Tour players a complete, consistent, responsive Ping iron. And if that was the goal Ping had, they passed with flying colours in my opinion. At more than £800 for a 4-PW set I am disappointed that some players could be ruled out by that price tag and won't be able to enjoy what Ping has created. 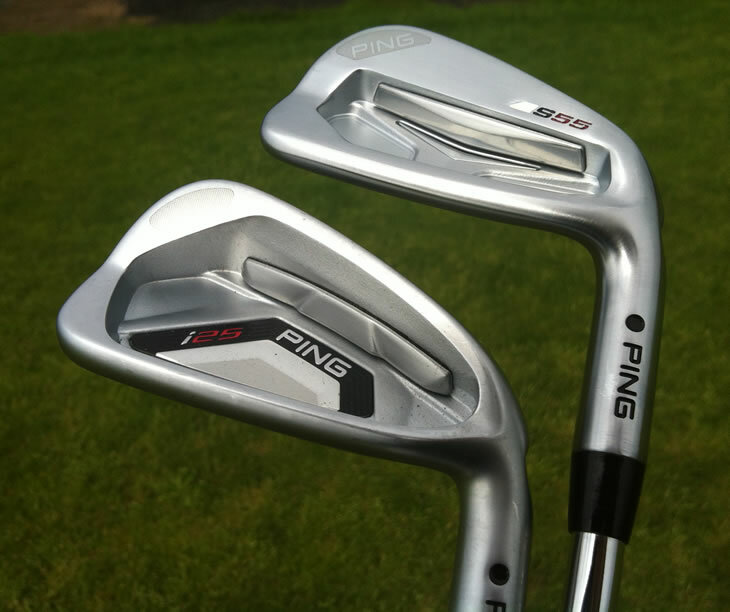 With previous success on the Tour with the S range, my guess is Ping had their Tour players in mind with the S55 design. You certainly need to be a competent ball striker to get the most for the design, but the added height and feel will be a joy to those players. Excuse the price tag and you will be hard pressed to find a low-handicap player that wouldn't fall in love with these irons. Hit all the irons on the simulator at the golf store. Salesman tried to talk me out of these saying "they're hard to hit". Of all the game-improvement and players irons I hit I bought these. My dispersion and distance were so much better then anything else I couldn't resist. And last year (I'm 70 years old) I shot par for the first round in my life and got my second hole-in-one. I'm a 10 cap. "You want to become a player, hit player irons." I have the CFS Reg shafts and my swing speed averages 93 mph. This is exactly why I bought these clubs! Third year with them and my h'cp has dropped from 24 to 15.4. I special ordered the 3i, and I have to say that I have hit it good maybe 6 times in 3 years...but that is me. My 4i is reliable but my 5i - PW keep me out of trouble all day. The whole set carries one club longer that my Callaway Razr set I had previously and now I can bend my shots on command (and sometimes on accident). You will love the feel of hitting these, but they will expose your flaws. Then you can fix them! Am near 82 years of age and just love my S55. My previous club was the S56. I have also played the Titleist AP2 but fell in love with the looks of the S55. I've been playing golf for over 70 years, carry a single digit handy and ping has designed a club that is what a club should look and feel like. I failed to mention I have the light weight graphite shaft. Solid as a rock. Thank you Ping for giving me many more years of fun golf. This set may go to my grandson. Thanks again. I'm a 70-year-old 8-handicap who probably shouldn't be playing these clubs, even if I used to be almost scratch. I tried the S57's and the S56's and hated them. But I tried these and to me there is a world of difference between them and their predecessors. 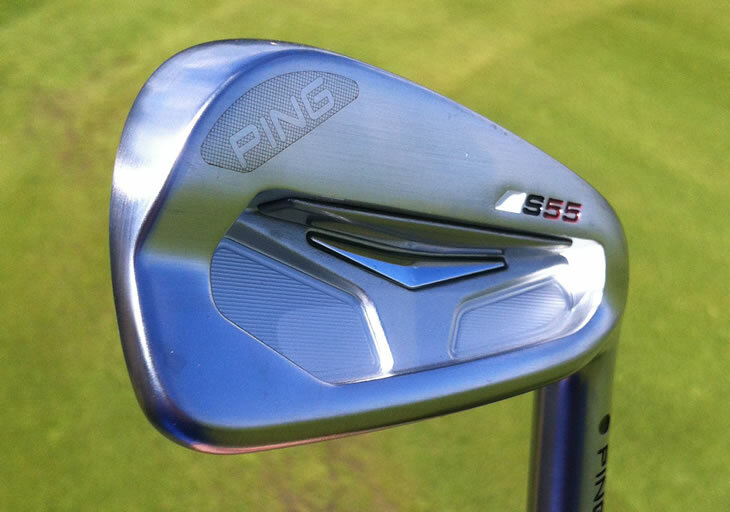 Talking to PING, they confirmed that what I felt is exactly the case - the S55's are a whole different breed. I put these in my bag with the UST Recoil shafts, replacing the Callaway Apex forged, also with UST Recoil shafts, and the difference (to me) is night and day. Using Trackman my dispersement is only slightly better with the Callaway's, and the distance is about 5 yards more with the mid irons (with the PING's). My advice is to not worry about whether you should be playing these or not, try them. If they work for you, get them! The S55 is an incredible club. As compared with the Titleist AP2, the S55 is better in my opinion. I'm not a fan of the CFS S shaft, so make sure you get the correct shaft. 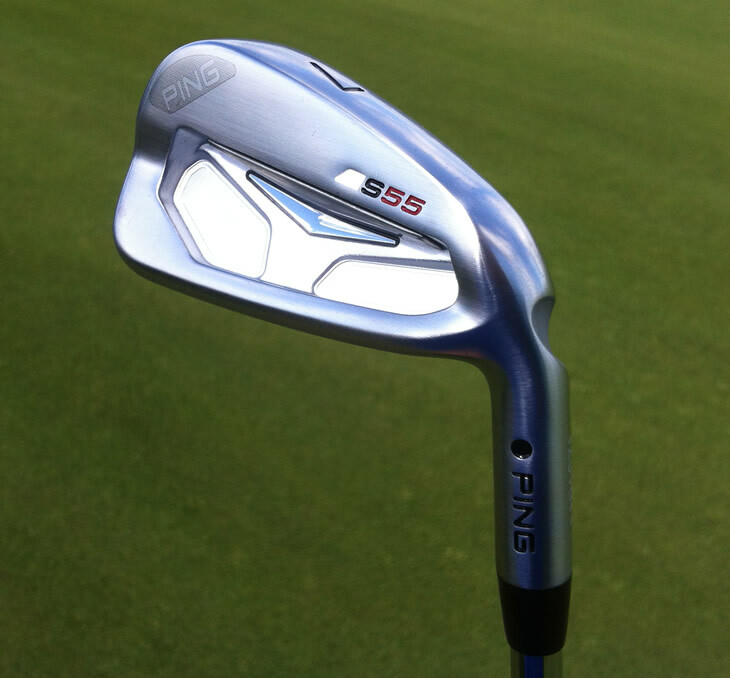 Also, the Ping Tour Gorge wedges supplement the S55s. It is my 6th year golfing and I carry a 21 hcp. Stepped up from Callaway Razr X game improvement set to these player irons in the hopes of being forced to fix what was wrong with me by accentuating my bad shots. SPOT ON. I blew up my scorecards for the first 5 rounds and was forced to started focusing on my swing. You want to become a player, hit player irons. Bought these clubs last year after trying out the new G30's, to replace my ageing G5's My handicap was 22, I found that the size of the face made me concentrate more on my swing, the club feels fantastic when hitting the ball off the sweet spot and I gained approx 5 yards more distance per club. Handicap now 13 and reducing, would recommend if you want a quality product and can afford the premium price. The clubs that made Bubba Watson change irons for the first time since 2004.